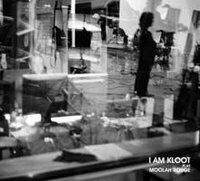 A limited edition version of 2000 copies of I Am Kloot's fourth studio album will be first on sale to the public attending their show at Manchester's Academy 3 on 24th November, and the following dates on their mini-tour of England and Europe. The album will receive a commercial release in early 2008. Fantastic new 10 track album from I Am Kloot comes as a rare Townsend exclusive in a limited digi-package, personally numbered by the band. Two live radio sessions recorded by the witty Manchester pop trio for the late DJ John Peel. Includes songs from their 2001 debut Natural History and 2003's I Am Kloot [#68 UK album charts], plus exclusive unreleased tracks. Note : Skinny Dog Records is a Manchester–based record label set up by I Am Kloot's Peter Jobson, Elbow’s Guy Garvey, media lawyer David Sefton and Indigo Jones’ Alexander Scott.